Bamfield Community School Association. Our programming includes several perennial activities (ex. fitness groups) and other programs according to the needs and interests of community members (ex. with oversight from a Board of Directors.  Facilitate inter-agency cooperation in the delivery of services, recreational, cultural and noncurricular educational programs. 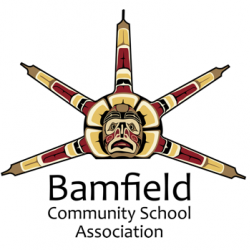  Collaborate with community resources/organizations and the Bamfield Community School staff to facilitate the integration of those resources into the regular school program, where welcomed by school staff.  Build and maintain positive connections with the community’s youth, families and adults.  Become familiar with the social and economic structure of the community, identify community needs and interests and facilitate the development and implementation of programs, services and activities to meet those needs.  Promote full utilization of the publicly available Community School facilities (library, computers, gym, atrium etc); ensure maintenance and security of School District and BCSA assets.  Report to and consult with BCSA Board of Directors regularly, including written and verbal reports at monthly Board meetings. Maintain an up-to-date understanding and positive working relationship with the Association for Community Education in British Columbia (ACEbc) on behalf of the BCSA, including attendance at their annual conference.  Manage all aspects of corporate finances, including budgeting, payroll, fundraising and financial reporting.  Hire and supervise BCSA staff (generally 1-2 Assistants and 1 Lunch Program Contractor) and short-term facilitators for individual programs. Benefits: Basic MSP coverage, $2500 towards Professional Development per year, 2 weeks paid vacation + paid week off during winter break. Position open until October 5, 2018 or until filled.